Danielle Varda, of Aspen, and Toby Krout, director of Boomtown, provide a Q-and-A to investors at Boomtown's Demo Day. BOULDER — Boomtown has graduated its 10th cohort, with companies solving problems like the miscommunication between doctors and patients before surgery, growing camaraderie in the workplace and creating a better search engine for businesses. Rumblesum is a startup from Golden that looks to improve workplace relationships through a platform that gauges a user’s favorite activities and then sets them up with others in their company who have similar interests. Rumblesum found that by improving office camaraderie, especially in large corporations, employee satisfaction and productivity improves. Rumblesum was seeking a $150,000 convertible note, with a cap of $2.5 million, and is already cash positive. It is currently partnering with workplaces and expects to have a national rollout in 2022. Omnify, of Colorado Springs, provides video analytics from security cameras for police departments, retailers and eventually, entire cities. Omnify differs from competitors in that it is able to access data in all video formats, not a select few, and can apply analytics such as facial recognition and body language interpretation to spot a missing child or determine if a buyer will make a purchase. The company is offering its service to police departments and retailers later this year and plans to onboard its first city partner in 2021. Hi-Oto, from Greenwood Village, is furthering the autonomy of vehicles by providing a solution where cars can automatically make payments. The company is manufacturing a beacon that can be put in cars that can connect with participating gas stations, mechanics and other vendors to let the vehicle make payments without a person getting out of their vehicle. The intention is to be ready for a world where vehicles are self-driving, allowing them to pay for their own gas, repair or even make money for the owner by driving others or making deliveries. Behaviorme is a startup from Gainesville, Fla., that is looking to help children with autism lead independent lives by providing parents and therapists with simulations that can teach autistic children how to cross the street, go through a fire alarm drill or ask for help. The software allows special educators to control conditions and repeat practices for the child and it could be scaled to provide for other learning disabilities. The option is an alternative to what currently must be done, which is put a child in a real-life scenario that could potentially be dangerous in order to practice. Behaviorme charges a subscription fee for its service, is onboarding clinics and is seeking a $250,000 convertible note investment. PatientOne, from Missoula, Mont., plans to lower the rate of surgeries gone bad by improving communication between the surgeon’s office and patient. The application, which can be used in conjunction with software currently used by the doctor’s office, sends reminders and notifications to patients when they are scheduled for a surgery, walks them through a procedure and even quizzes them on what they need to know and what their responsibilities are for it. The company has a Saas model and is partnering with doctors, electronic health record companies and medical malpractice carriers to incentivize doctors to subscribe to the service. They are seeking a $1.2 million equity investment for launch later this year. 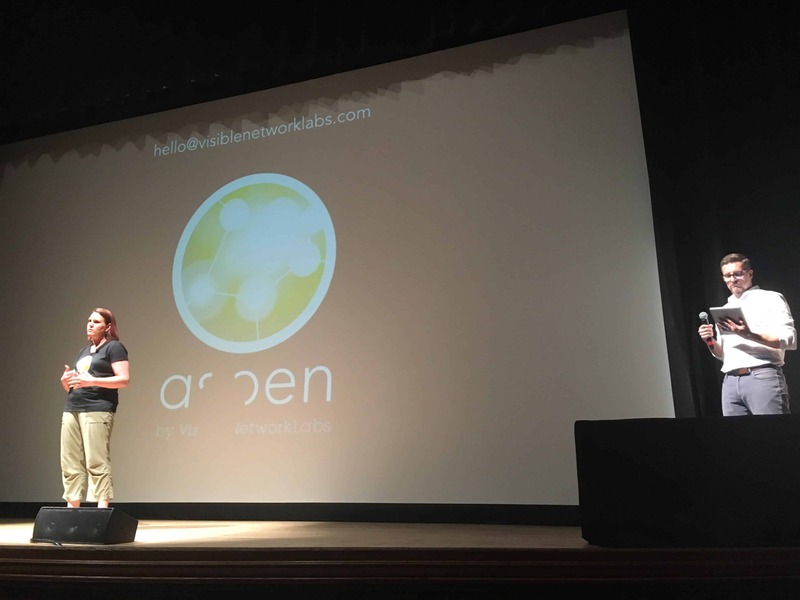 Visible Network Labs, an established company from Denver, debuted Aspen: software that ensures patients aren’t without a network of social support to help them with transportation, food and care. A woman without a support system has a 60 percent increased risk of dying from breast cancer and a 70 percent risk of dying without any cause. But today it’s very difficult for doctors to know if their patient is missing a support provider if the patient doesn’t tell them. The Aspen software requires patients to fill out who in their life can help them with transportation, meals and other needs. If there is anything that can’t be provided for, Aspen connects them with an organization that can fill that role. The company is raising $750,000. Untapp, of Denver, creates high-quality mobile apps for small businesses at a lower price point than development shops, by becoming “the WordPress of mobile apps.” It can be expensive for a small business to hire a development shop to build a custom app that then won’t be updated often and can be difficult to do a DIY version, Untapp provides a template small businesses can use for a monthly price. The company is able to do so by providing features specific to an industry, such as its dog kennels, building out those solutions, such as in-app messaging, and then re-using those solutions for other industries that might need one and building new ones as needed. Untapp is first rolling out templates for dog kennels, e-commerce and fitness businesses. Untapp is built by two brothers, one of whom created the popular Instagram e-commerce platform LiketoKnow.It. ZipRoots, of New York, makes it easier for real estate agents to get new referrals from their network of clients. The issue with real estate is that unlike other businesses, it can be difficult to get recurring business from clients: A client buys a house and then might not need a real estate agent for another 10 years, when they’re ready to buy a new house. In that time they might use a different agent and forget to recommend their first agent to friends. ZipRoots is a platform that allows agents to input their name, contacts and a marketing budget. ZipRoots then pulls relevant information about an agent’s clients from social media, such as their birthday and interests, then generates milestone-based reminders and automates them. So on the four-year anniversary of a client buying their house, ZipRoots sends a gift card to the client’s favorite store from the agent, resulting in meaningful communication between the two and the likelihood of getting more leads on new clients, friends and neighbors of the original client. ZipRoots has a seed round of $250,000. Pennyworth, from Boulder, provides lifestyle amenities to individuals living in luxury apartment buildings. Rather than new apartment complex amenities that aren’t really necessary, like a lazy river or bowling alley, to diversify themselves, complexes can provide Pennyworth, a service that allows residents to have someone come in and provide home care, shopping and other needs while they’re at work. Residents can opt to pay $199 a month to have a fully-vetted Pennyworth worker come for an hour a week. The service is different from TaskRabbit or Instacart, which have workers provide just one service. What is more, Pennyworth is working to bring its workers on full-time, so they’re an invested part of the company, and provide them with training. The company added that some luxury apartment homes are looking to pay for the subscription for tenants in order to truly stand out in the amenities they provide. Pennyworth is raising $750,000. Xoomdat, from Long Beach, Calif., is creating an enterprise search platform for businesses. Rather than a small business search for leads by looking at Google, which can provide a wide net of results that aren’t specific to what the company is looking for and can take hours to comb through, Xoomdat takes a different approach. The company is building industry-specific search engines that are secure and provide results in real-time. Xoomdat is currently targeting the aviation, defense, retail and events industries and is seeking $1.2 million in investment. Eyeflite, from Boulder, is building a combined software and hardware solution for people who have difficulty communicating due to diseases like cerebral palsy and ALS. The company is building eye-tracking augmented reality glasses that allows users to type with their eyes, turn off a smart lamp and speak out loud through a speaker. The company is currently in development for its solution. It’s an improvement on touch-to-talk devices and other eye-trackers, which don’t move with the head of the user and therefore can be interrupted and fault quite easily. Eyeflite is planning to raise funds later this year.